Ryan McLelland’s review column Your Indy Weekly is coming to Sequart, and it wants your indy books! 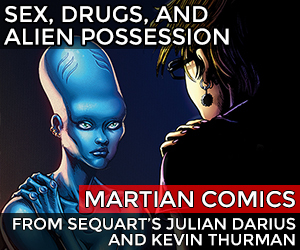 A staple at Newsarama for years, Your Indy Weekly is relaunching here at Sequart in just a few short weeks. Y.I.W. is the perfect forum for independent creators and publishers who want to get their books noticed by the mainstream press and into the hands of comic book readers worldwide who would otherwise never hear of some awesome, new books! Do you have a book you’d like to see covered? E-mail Ryan today at rdmclelland@hotmail.com for consideration! Tagged independent comics, Ryan McLelland, Your Indie Weekly. Bookmark the permalink.